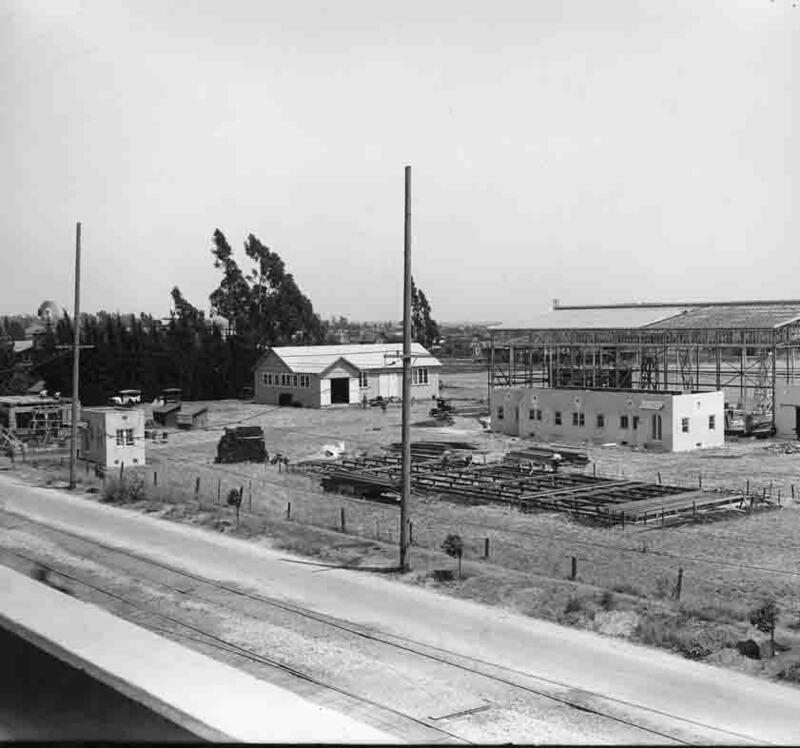 1925: This is a rare photo of the California Studios and Bishoff Studios, located on Gower St, just south of Sunset Blvd. The studios were owned and opeerated by film maker & pioneer Sam Bishoff. From the hollywoodphotographs.com website. 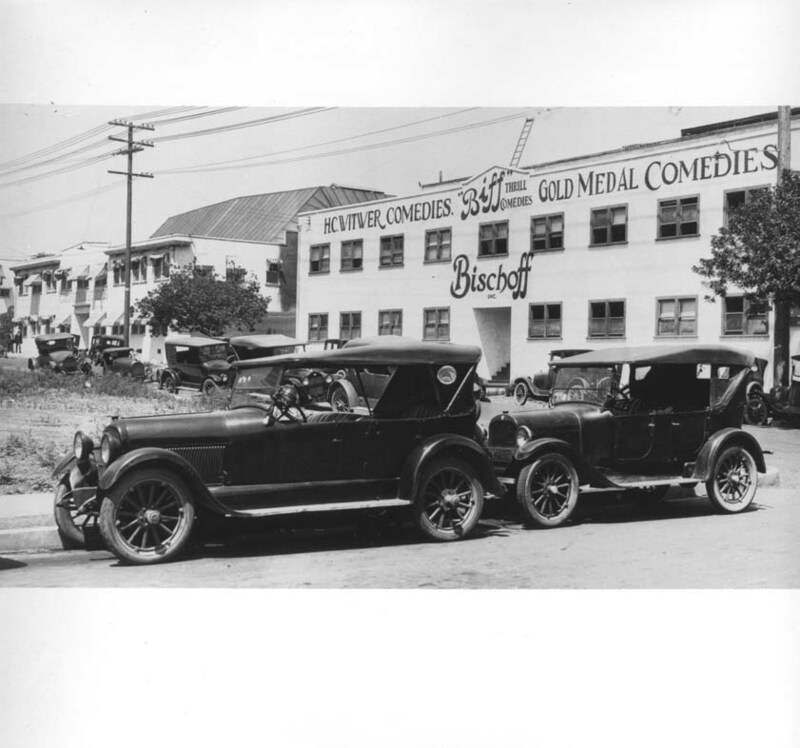 1916: This is a rare photo of the Christie Film Co. & Nestors Comedies, located on the northwest corner of Sunset Blvd. & Gower St.. This the location where the Nestors Film Company established a studio in October 1910. From the hollywoodphotographs.com website. One of the most active film industry pioneers was Harry Aitken. 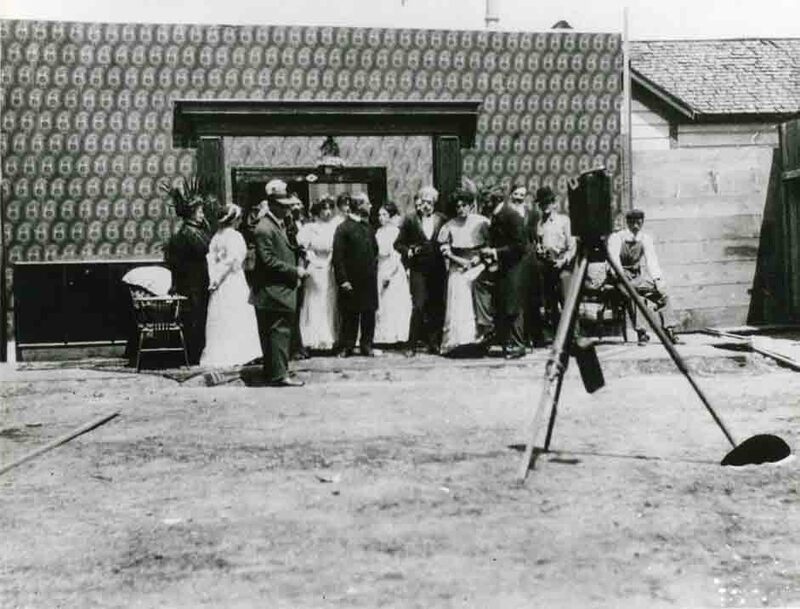 He and his brother, Roy, started with a makeshift theater in their barn near Waukesha, Wisconsin. Soon they left the farm and opened their first theater in Chicago. The success from the first venture led them to a string of five theaters. 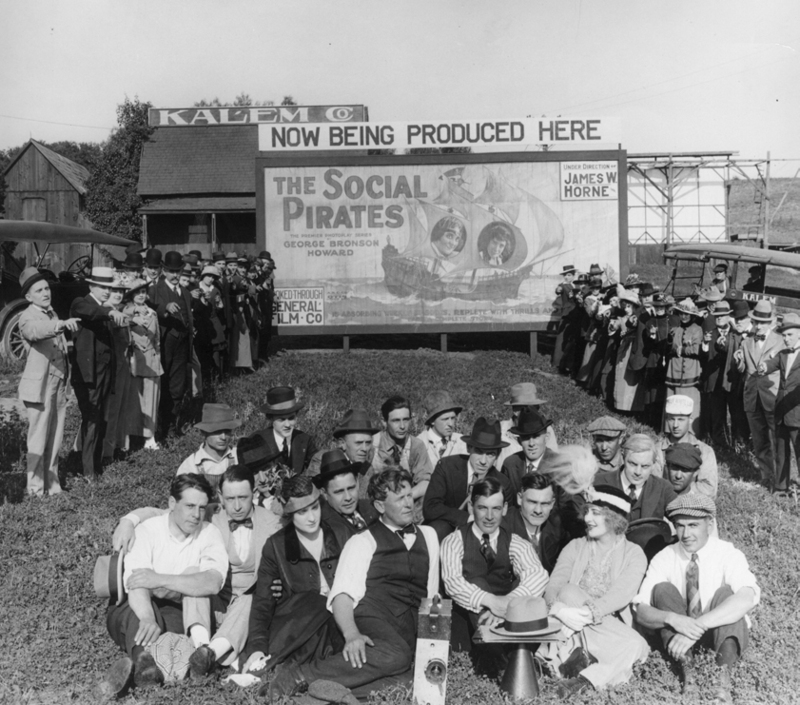 Contrary to popular belief, the motion picture industry did not have its roots in Hollywood or even Southern California. This soon to be “magical” business had its origin in both Chicago and the environs of New York City. 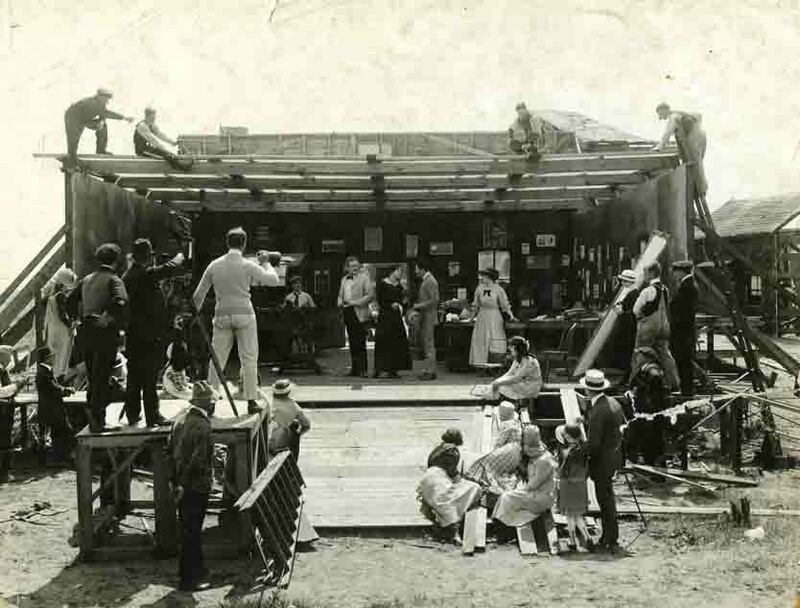 Companies such as Edison, Selig Polyscope, Lubin, Thanhouser, Jesse Lasky Feature Play, Vitagraph, New York Motion Picture Company, Kalem, Essanay, and Biograph all had their headquarters and their first studios “back east.” Even when these companies first sent production troupes to make movies on the west coast, the negatives were sent back east, by train, to their corporate offices for processing. hollywoodphotographs.com has hundreds of vintage Hollywood Movie Studio photos. One of the lesser known, but oldest facilities in Hollywood was located at the corner of Sunset Boulevard and Fleming Street (now Hoover Street). 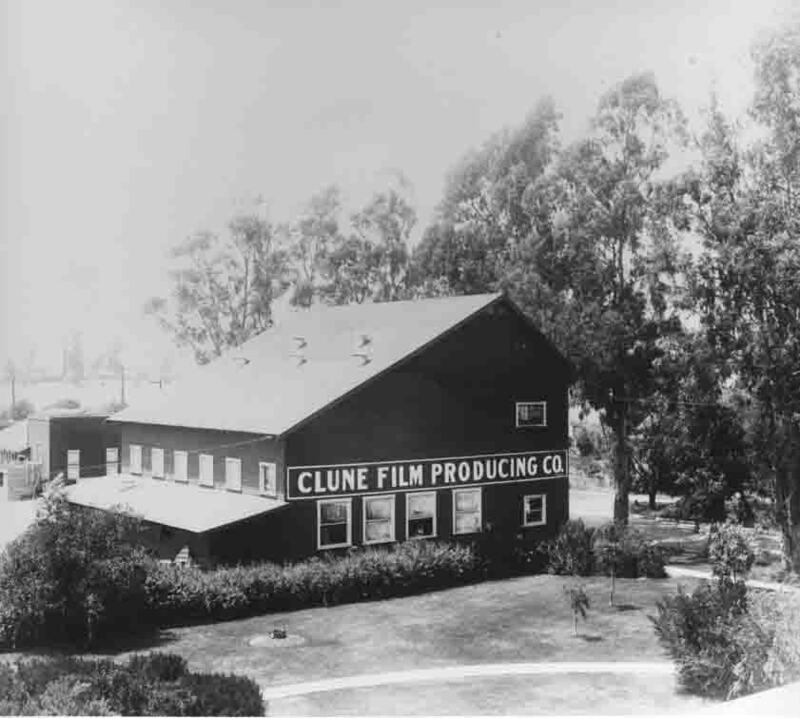 During its almost one hundred year history, the studio was occupied by several small motion picture companies, many of whom were the real pioneers of the film industry. 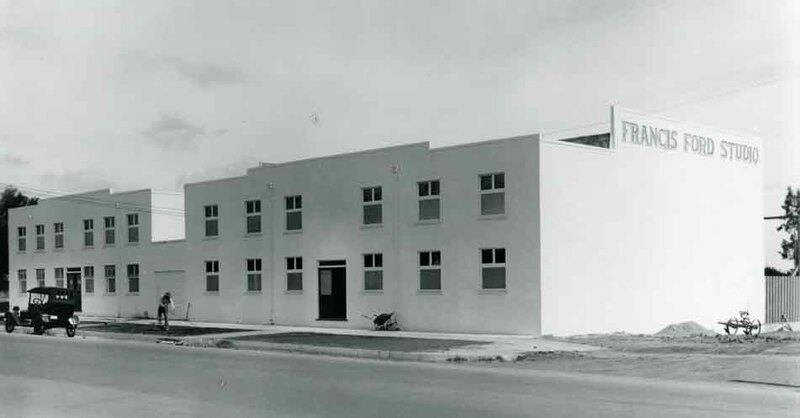 The studio’s history began in 1912 when, just a few months after the Nestor Film Company settled in Hollywood, a group with the Lubin Manufacturing Company established a studio at 1425 North Fleming Street. 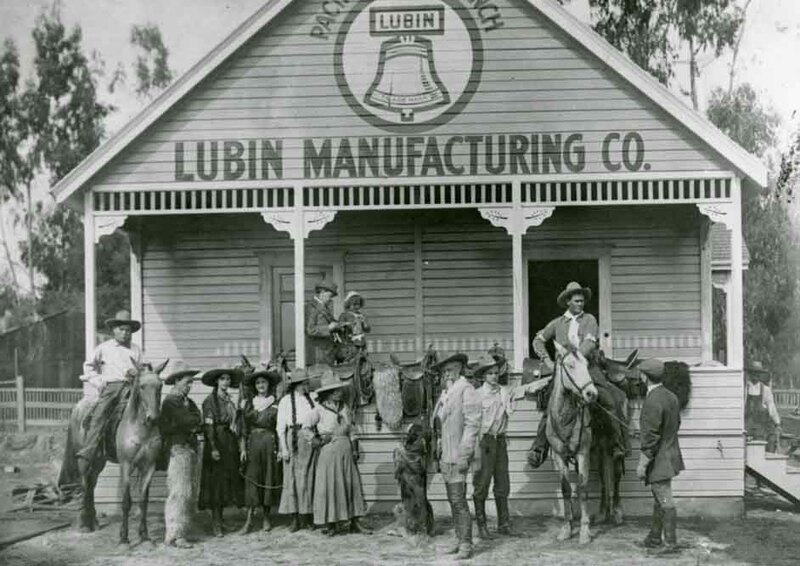 Aa member in good standing with the powerful Motion Picture and Patents Company, Lubin began producing films in hopes that the Trust would buy them. However, Lubin’s days were few. By June, the plant closed and was in the charge of a caretaker. The hollywoodphotographs.com website has the largest collection of Hollywood Movie Studios. With more than 1500 vintage Hollywood Studio photographs, the hollywoodphotographs website sells both digital and actual images. hollywoodphotographs.com website. 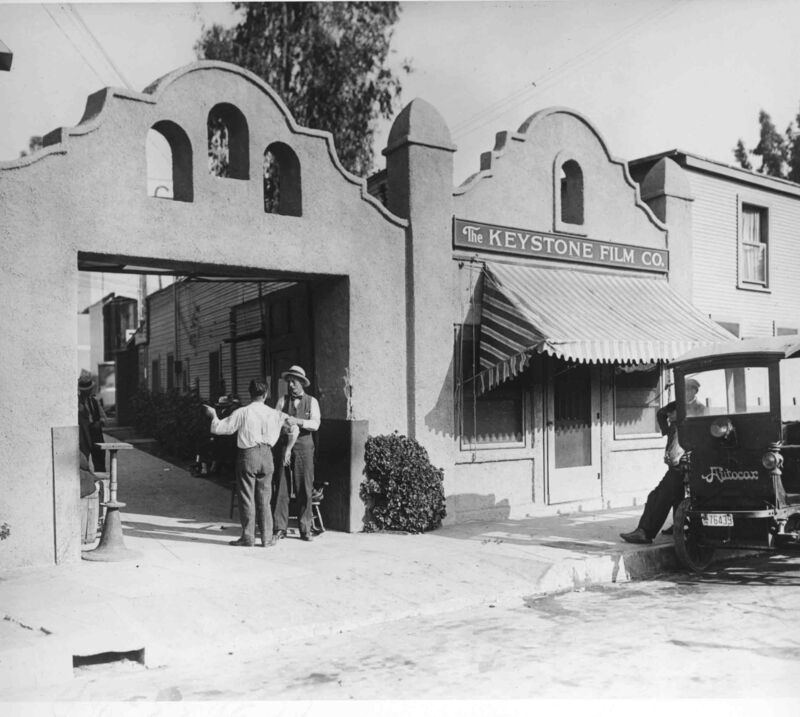 There are more than 2000 vintage photos of early Hollywood movie studios on the website and all images are available for purchase. Raleigh Studios is much more than bit player in the history of Hollywood. Situated at the corner of Van Ness and Melrose, across the street from iconic Paramount Pictures, its pedigree originates at the very founding of the industry. 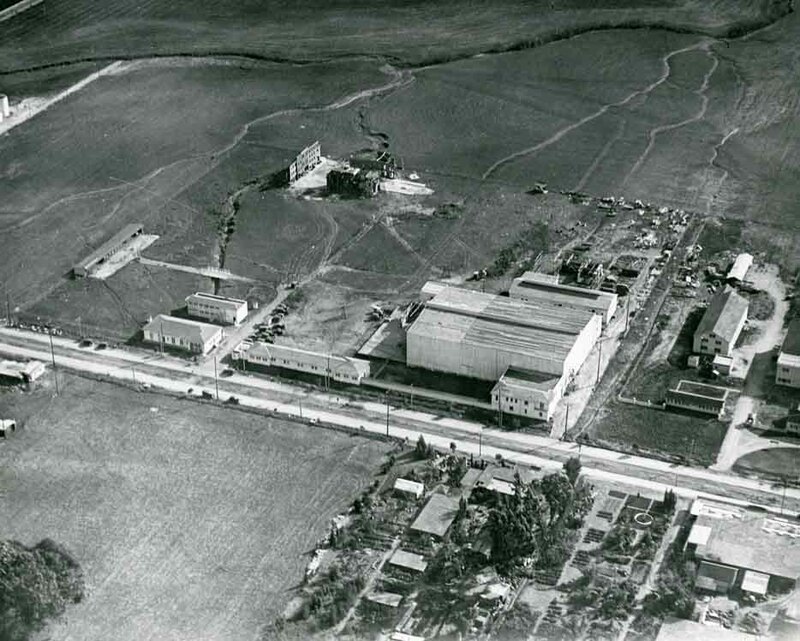 As the longest continuously operating studio in the country, the Raleigh Studios lot played a central role in creating and supporting the modern entertainment industry. The largest collection of Hollywood Studio photos is on the hollywoodphotographs.com website. This year marks the 100th birthday of Universal Pictures, and Paramount Pictures celebrates its centennial this year as well. While Universal and Paramount are major Hollywood motion picture studios today, they started in 1912 as independent studios, challenging the monopoly that had a chokehold on the film industry and taking on Thomas Edison. One of the largest collection of Universal Studio photos is on the hollywoodphotographs.com website. For more than 100 years Hollywood has been known as the entertainment capital of the world. Movies, radio, television and legitimate theater make up the various entertainment entities that makes Hollywood so famous. 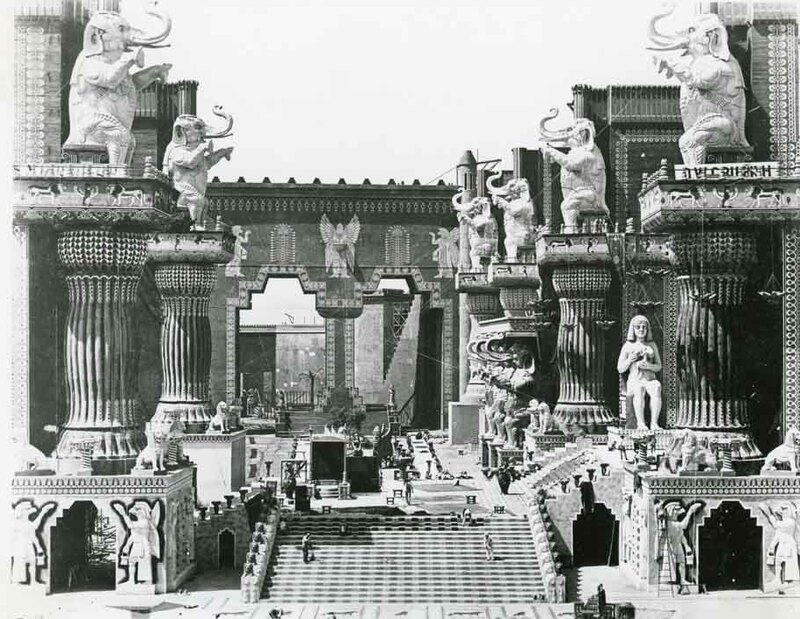 The largest collection of movie studio photos is on the hollywoodphotographs.com website.